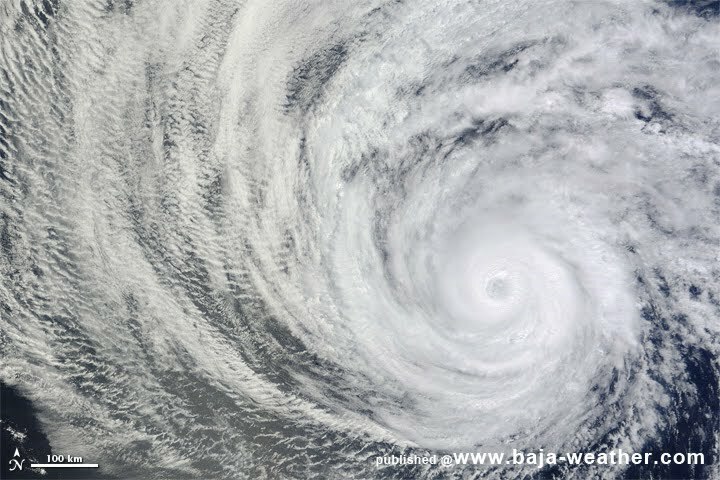 Soon after forming, Hurricane Emilia strengthened over the eastern Pacific Ocean in early July 2012. 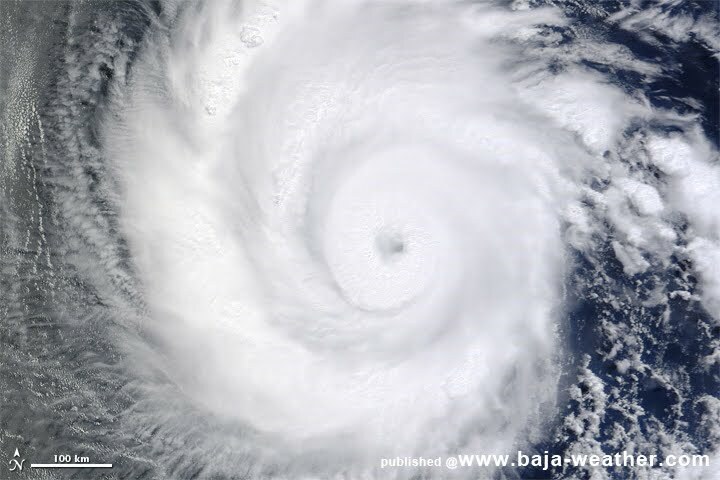 At 2:00 p.m. Pacific Daylight Time on July 9, 2012, the U.S. National Hurricane Center (NHC) reported that Emilia was a strong Category 2 hurricane, with maximum sustained winds of 110 miles (175 kilometers) per hour. Twelve hours later, the NHC reported that Emilia was now a Category 4 hurricane with winds of 140 miles (220 kilometers) per hour. Hurricane Emilia posed no hazards to land as it was moving westward over the open Pacific Ocean, the NHC stated. As Emilia strengthened, another storm in the eastern Pacific, Daniel (below), gradually weakened. The NHC forecast that Emilia would also slowly weaken, probably starting on the evening of July 10. Images courtesy MODIS Rapid Response Team, Goddard Space Flight Center.